There were 39 plants that matched the search criteria entered. User can print the list or click on any of the plant records to see plant details. 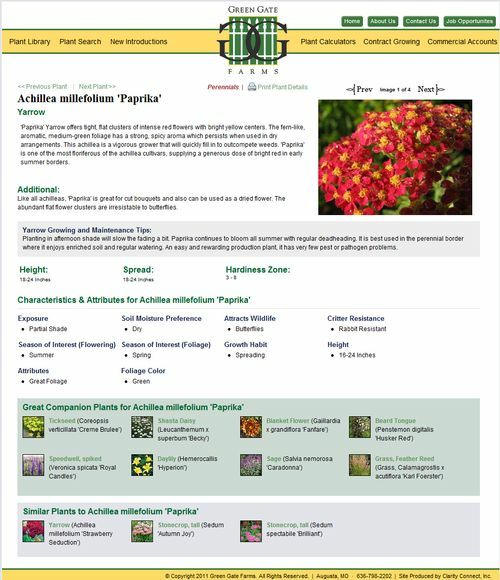 The next image displays the full plant profile for Achillea millefolium 'Paprika'. The user of the plant picker can review the details of plants that meet their search requirements. The sampe 'Plant Picker' functionality implemented on BowoodFarms.com has a different look due to the site graphics and the plant characteristics they have added for their plant records. A detailed plant search is included with th Clarity Console™ Plant Database. 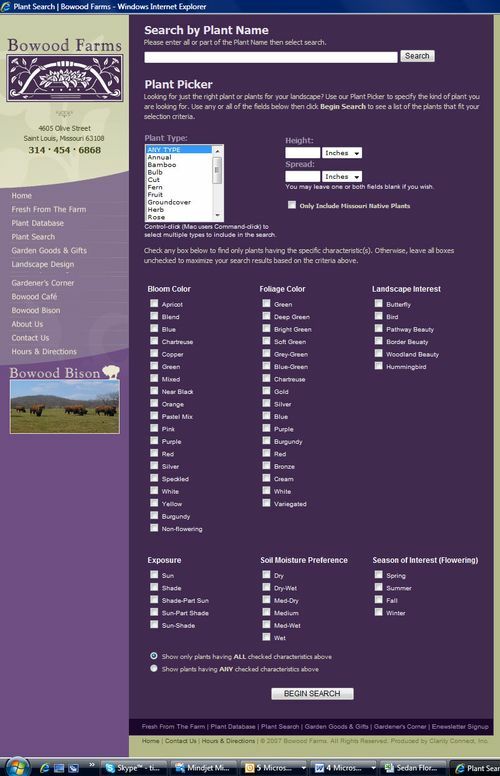 Site visitors can quickly find plants that meet their search requirements. The search parameters are decided by you. You can limit the fields that can be searched or have a comprehensive search. 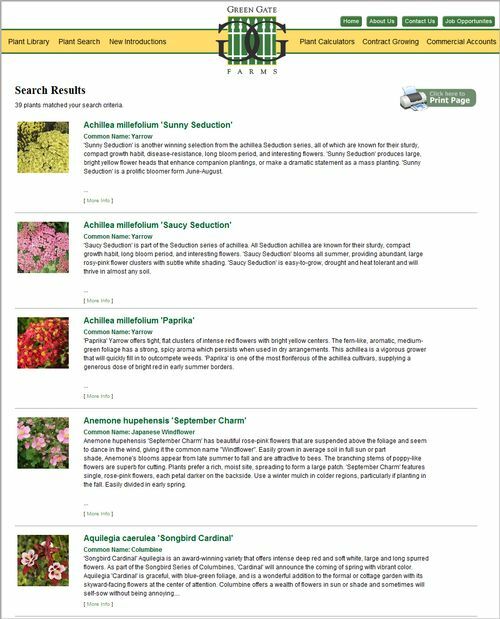 The search results include all plants from your plant database that match the search criteria entered. The user can then click on the summary to see the entire plant record or modify the search to expand or contract the number of matching plant records.